PCN Flight West: NWA Capt. Michael J. Tovey Jr.
NWA Capt. Michael J. Tovey Jr.
USAF veteran, NWA Capt. 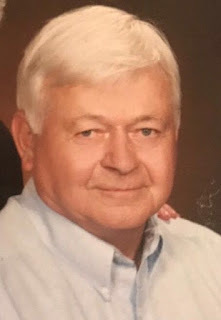 Michael J. Tovey Jr.
News has reached us with the passing of RNPA member retired Northwest pilot Captain Michael J. Tovey Jr., age 80. Captain Tovey joined Northwest Airlines 09-05-1967. He is survived by his wife Joyce, their children and grandchildren. 16313 33rd Street Court Kp N, Lakebay WA 98349-9513. Beloved husband, father and grandfather, Mike was the fourth of five sons born to Michael and Velma Tovey in Dickinson, ND. He grew up in a variety of towns in the west as his parents moved following teaching jobs—towns such as Ringling, MT, Goldendale, WA, and Dufur, OR. Eventually they settled in Spray, OR where he graduated from Spray High School in 1954. He then attended and graduated from the University of Portland, where he joined the Air Force ROTC. While at the U of P he met Joyce, who despite repeated attempts to ignore him, eventually agreed to a date. Mike married the love of his life, Joyce Thomas on August 13, 1960. Together they raised 5 sons—Michael (Linda), Mark, Shawn (Marie), Brian (Nica) and Chris (Jamee). There are 13 grandchildren who miss their grandpa, and a great grandson expected in October. Mike served his country in the United States Air Force for eight years following graduation from the University of Portland. It was here that he learned to fly, something that would be central to his life in the future. He was stationed in Harlingen, TX and Seattle, then served a year in Vietnam from 1966-67 prior to his discharge. After leaving the Air Force, Mike began his commercial flying career with Northwest Airlines in 1967, a career that continued for 29 years and took him across the country, to Europe and to Asia. In 1975 Mike moved his family to Lakebay, another small town, with a view of Mt. Rainier and the Puget Sound on one side and the woods on the other. When not flying, he was working around the property—he always was working on something! With five boys he put them to work as well—chopping wood, mowing lawns, hauling, moving, digging and planting. While he was away at times flying, he made the most of his time at home, coaching his sons, camping, fishing, playing tennis and golf, and growing beautiful Dahlias in the garden. After retiring in 1996, he spent time on the golf course, travelling with his wife and enjoying time with his boys and his grandkids. He loved to golf—playing with his regular group most weeks and his sons whenever he could. He and Joyce travelled as often as possible, taking trips across the country and around the world, eventually seeing all seven continents. 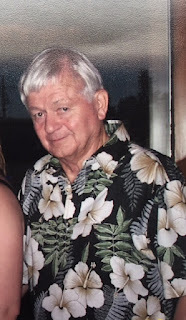 He also supported many civic groups on the Key Peninsula and found time to serve others during retirement by delivering Meals on Wheels for over 10 years throughout the Gig Harbor/Key Peninsula area. He was a devoted Catholic and member of St. Nicholas parish. Most of all he loved his wife and his family and is greatly missed by all of them. A funeral mass will be held on June 30 at 11:00 am at St. Nicholas with a reception to follow in the parish hall.